About Us - about us--cognitive product,ketogenic diet,muscle enhancement, sport nutrition,ect. 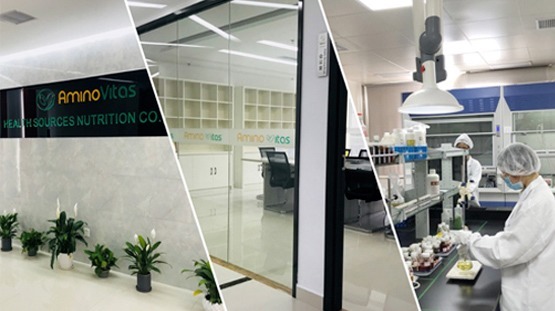 Health Sources Nutrition Co., Ltd. is a leading supplier of a wide range of nutritional ingredients, we provide manufacturing solutions for the food, beverage and nutrition industries. Our products and services have obtained acceptance by many contract manufacturers, distributors and retailers from Australia, the Netherlands, United Kingdom, France, Germany, Sweden, Poland, Philippines and the United States. To meet the needs of customers and take the advantages of well-understanding of ingredients resources, we’re mainly engaged in providing a one-package service as a complete solution program for customers, including raw materials selection and supply, formulation design, finished products manufacturing, flexible packaging, safe storage and fast transport. Our technical specialists will help customers solve their formulation problems. We eliminate the headache of dealing with multiple partners in one single project and accelerate the optimal time-to-market for customers, so that they can capture new audiences with great tasting and innovative finished products. In summary, we support our customers throughout the entire development process and take their product or formulation idea from concept to completion.